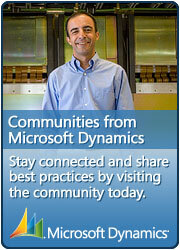 Update Rollup 12 for Microsoft Dynamics CRM 4.0 is available. Microsoft CRM 4.0 Rollup 12 is here (29th July 2010) and information about the Rollup is here. Listen to the first ever Rollup Podcast by the MS CRM Premier Field Engineering Team here. This entry was posted in Information, MS CRM and tagged MSCRM, Rollup 12 on July 29, 2010 by Rhett Clinton MVP.